Note:The price on this page is a per yard price for the cloth only. It does not include hemming or embroidery. Autom offers an infinite number of choices for altar cloths, including fabric selections and embroidery options. All cloths are custom made to your specifications. Measuring can be tricky, but if you wish, we can assist you in getting the proper measurements and will gladly answer any questions or concerns you may have. 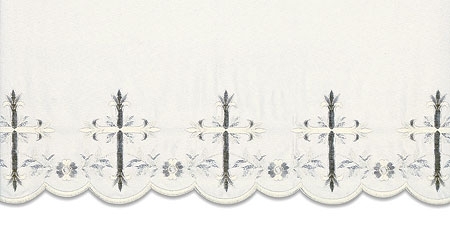 Call 1-800-521-29148 or emailspecialorders@autom.netto speak with our altar cloth specialist!